Tsuburaya Productions Co., Ltd. (Head office: Shibuya, Tokyo. President and CEO: Takayuki Tsukagoshi) will be broadcasting its new TV series ULTRAMAN R/B from 9:00 a.m. July 7th on TV Tokyo. The two main characters, Katsumi and Isami Minato, are brothers who live with their younger sister and father who run a specialty store. One day, the brothers find the R/B Gyro and R/B Crystal, which transform Katsumi into “Ultraman Rosso” and Isami into “Ultraman Blu”. Rosso has the element of fire, while Blu has the element of water. The show is entertaining not only as a special effect action piece which depicts the brothers’ clash as they grow up and confront powerful enemies, but also as a TV drama series focusing on the brothers’ family bond. The new series is filled with even more exciting elements than the past Ultraman Series, with an unexpected plot. The story is based on the concepts of “bond” and “love”, in which the brothers face their emotions with allies and enemies realizing important things that they tended to take for granted. The hero brothers are performed by brand new members; the older brother, Katsumi is played by Yuya Hirata (24 years old/represented by Sun Music Production), and the younger brother, Isami is played by Ryosuke Koike (22 years old/Pacific Voice). Photo courtesy of Tsuburaya Pro. 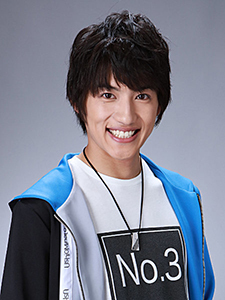 Yuya Hirata was born on June 20, 1993. 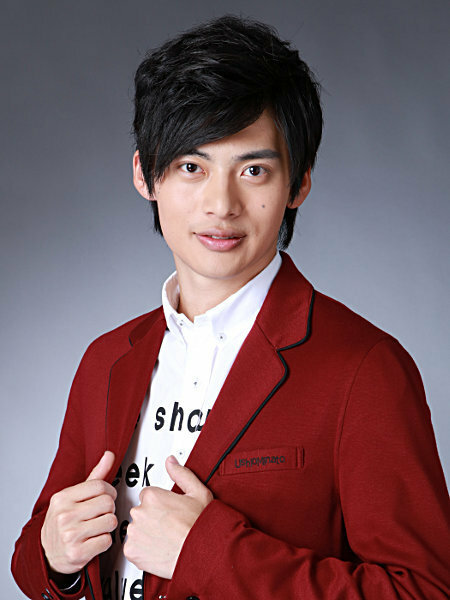 His acting credits including the movies HAUNTED CAMPUS (ホーンテッド・キャンパス, Hoonteddo Kyanpasu, 2016) and THE WEREWOLF GAME: LOVERS (人狼ゲーム ラヴァーズ, Jinro Geemu Ravuaazu, 2017), recurring appearances on the television series ZIP!, and several stage performances. Comment: I’m Yuya Hitara, and I will be playing the role of Katsumi Minato, the main character of ULTRAMAN R/B. I’m both surprised and excited to have the opportunity to play the role of Ultraman in my life. ULTRAMAN R/B is a new aggressive piece. The new series are full of “non Ultraman-like features” in a good sense, while following the good aspects of the historical Ultraman Series. I would like to try my hardest as both the Minatos’ eldest son and the main character. Moreover, I will confront countless difficulties with Isami, my younger brother. With all the cast, staff, those watching, and everyone else involved in the TV show, I am excited to make ULTRAMAN R/B into “our color”. I would greatly appreciate your passionate support! Ryosuke Koike was born on November 17, 1995. He made his television debut with MITO KOMON (水戸黄門, 2011), and has credits in the series THE LAST COP (ラストコップ, Rasuto Koppu, 2016) and the movie LES NEUF FENETRES (9つの窓, 9tsu no Mado, 2016). Comment: I’m Ryosuke Koike and I will be playing Isami Minato. The Ultraman Series have long been my aspiration since I was little. Certainly I was extremely happy when I was given this role, but at the same time I felt the high expectations directed towards me. I believe that the emotions I felt in my childhood are very important, because they remain vivid even when you grow up. Ultraman teaches children all sorts of feelings and has a great influence on them. I would like to play Isami Minato with great enthusiasm and take the responsibility of acting such an influencing role. 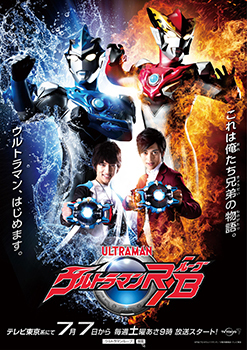 I would love for many people to enjoy ULTRAMAN R/B!